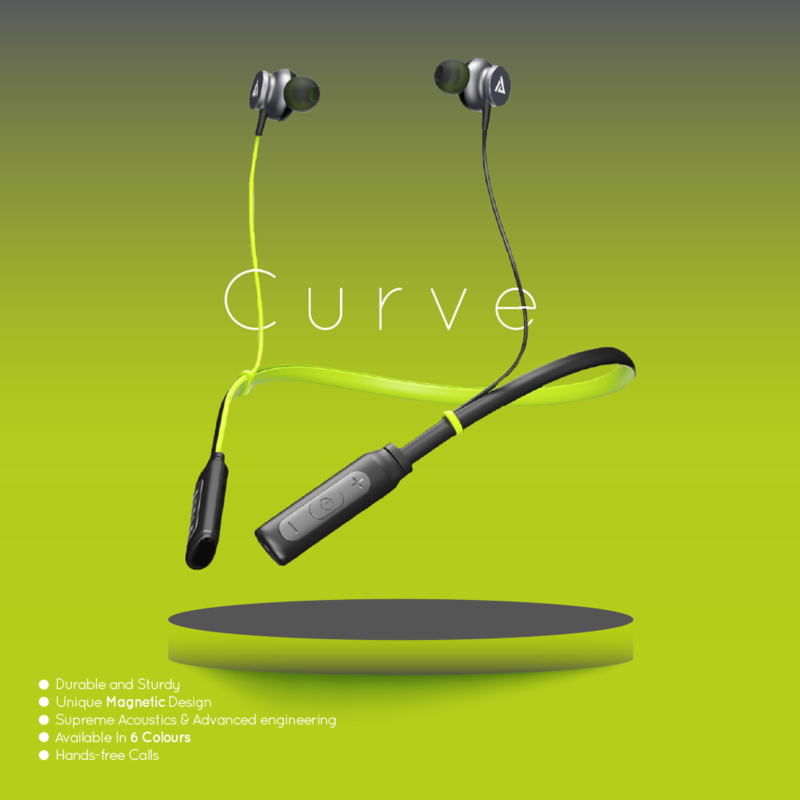 The Boult CURVE is designed primarily to take your listening to the next level. A sturdy casing is encased under a simple yet elegant design. The neckband with the wireless technology makes it a perfect companion. The earphones are light weight and durable and have a battery life up to 8-10 hours for those long active sessions. Built for portability and ease of use, for mobile activities. The drivers are powered by deep bass and rich sound for clear output. The wearer has complete control over his music and calls from the in-line controls that can be used for answering, hanging up and adjusting volume, play/pause. The CURVE makes the end user satisfied with the hands free service for play/pause and volume control. The Curve is compatible with all operating systems, Bluetooth, iOS, Android, Blackberry and others. The magnetic drivers stick together when idle and are a great fashion statement. Bluetooth comes with audio decode technology that maintains best audio transmission. Around the neck band covered with sweat proof protein leather. Built in microphone to ensure easier communication.